Amazing Lot among beautiful custom homes. Build your dream Home here! Great view of Superstition Mountains. Lot is flat and has its own well. Over a dozen huge saguaro cactus. Bring as many horses as you like. 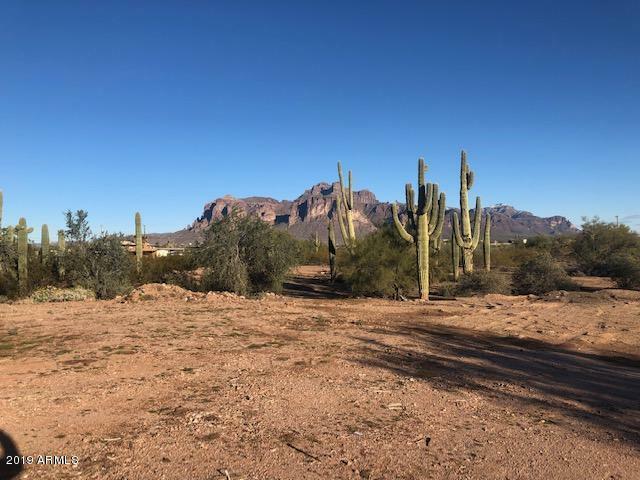 Property is in the city of Apache Junction so you have some city services included. NO HOA. Power on west end of lot. Private water company is near east end of lot. Views like no other!! Well is as-is. Owner has no knowledge of well. Owner is licensed Arizona Realtor. Buyer to verify all information regarding this lot.